Kamal joined UNESCO-UNEVOC in May 2013. He currently has a functional focus on Monitoring and Evaluation, and a Regional Focus on Asia and the Pacific. Prior to joining UNESCO-UNEVOC, he worked for five years with the British Council to support the effective and efficient planning, management, implementation and evaluation of development programmes in the areas of education and society. Earlier, Kamal worked intensively in the realm of business administration. Furthermore, he volunteered to support the work of ‘AL-Haya’ a civil society organisations in Egypt in the area of empowering youth. 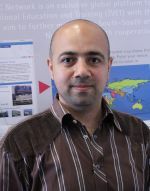 Kamal holds a Master Degree in public management from Potsdam University Germany, in addition to an Interactive Marketing Award from Manchester Metropolitan University UK and a BSc in Applied Art from Helwan University Egypt.